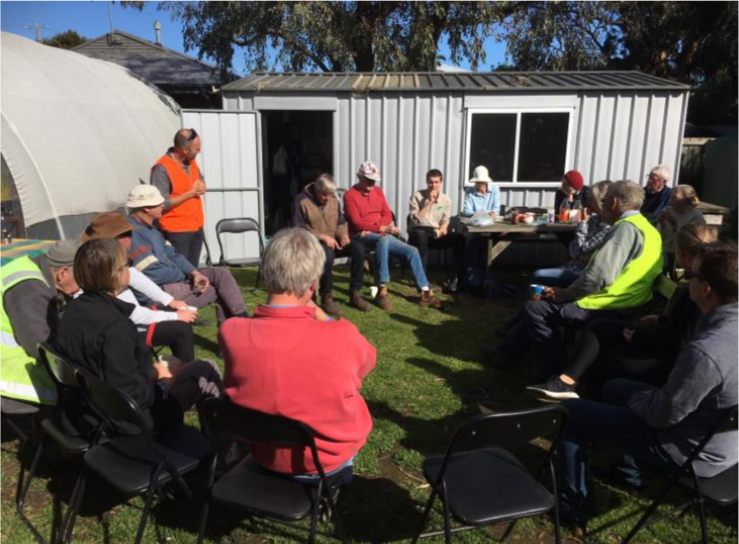 The Bellarine Rail Trail Fellows Rd Revegetation and Environment day was recently held. Soaking rain the night before proved the perfect preparation for soft soil for planting. The Queenscliffe Community Indigenous Nursery once again provided wonderfully grown tubestock representing Coastal Saltmarsh species. 300 indigenous tubestock were revegetated along the Bellarine Rail Trail from community groups inc Swan Bay Environment Association, Friends of the Bellarine Rail Trail and Bellarine Catchment Network. Victrack and GJ Gardner Homes supported the event through tubestock, guards and stakes and lunchtime BBQ. 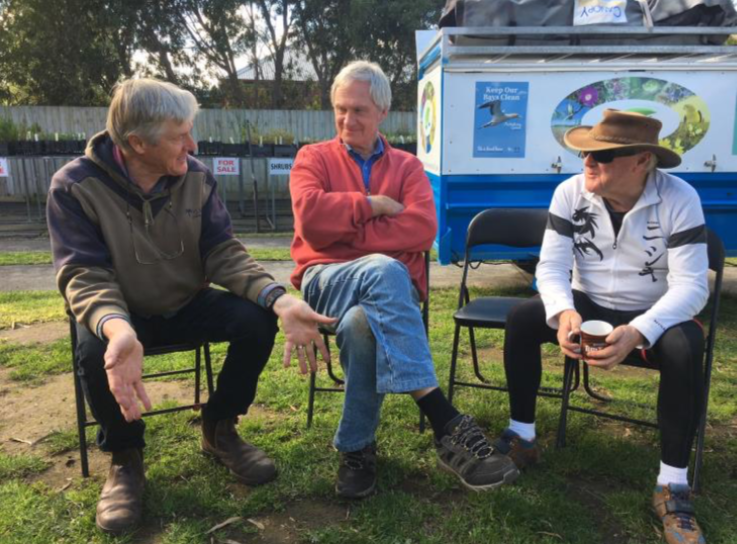 The site continues to transform from woody and grassy weed species to indigenous plant cover and forms part of the City of Greater Geelong Greening the Songline, from the Mountain to Mouth Extreme Arts Walk.